Figuring out how to set up, utilize and measure online marketing efforts can be daunting and complicated. A great place to start is local search marketing. Local search provides some of your most valuable potential customers with information they need to even consider your products and services as an option. Check out these three compelling reasons why you may want to revamp your current strategy to better serve your local market and make your business more visible. 1. 99.7 percent of U.S. 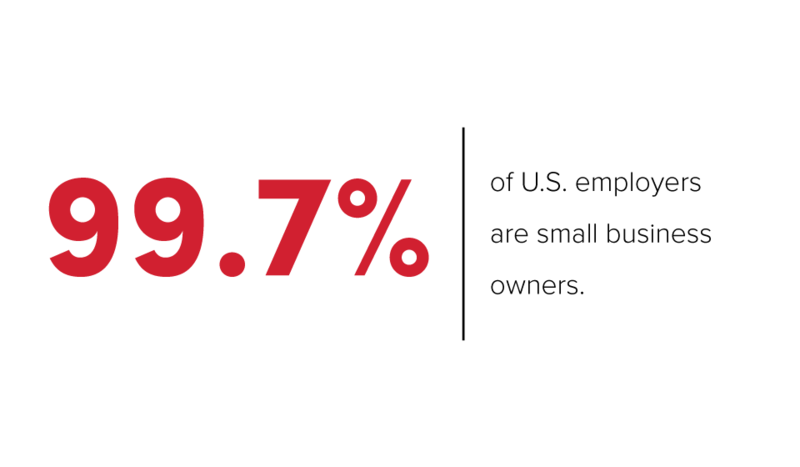 Employers are small business owners. Regardless of industry, it’s an extremely competitive market for local businesses! How can you soar above the competition? Your business needs a digital marketing strategy that focuses on local search. Local search marketing is the first step to building a strong online foundation for your business. Localized marketing builds a pathway to your other marketing efforts, and your online presence is often the first thing people see when Googling a local product or service. 2. 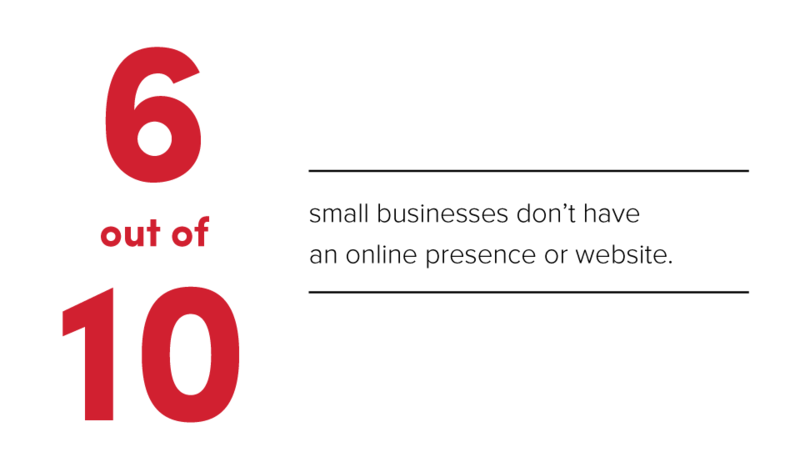 Six out of 10 small businesses have no online presence or website. By setting up a solid digital presence, you already have a competitive advantage. Those are great odds you should be betting on! Use your digital presence as an opportunity and tool to answer the customer’s questions quickly and effectively. Local search marketing is your best chance at giving online searchers the information they’re looking for. Get ahead of the competition by building a strong foundation: a local search marketing strategy and website. 3. 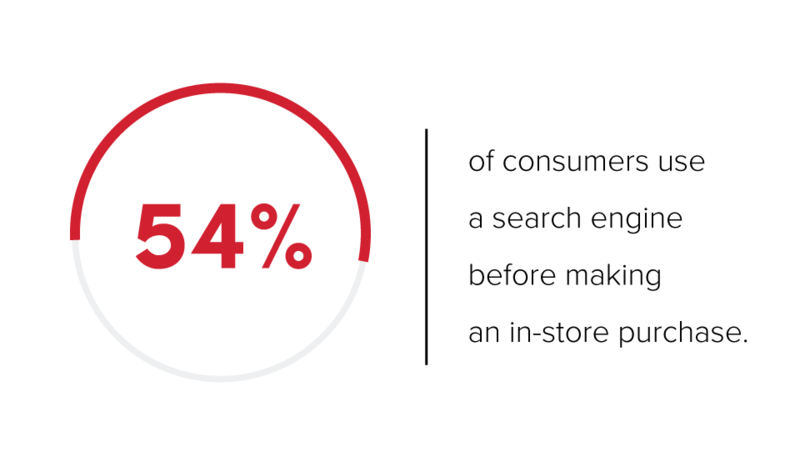 54% of consumers use a search engine before making an in-store purchase. Think of your online presence as the digital version of your storefront. If it’s a mess, no one is going to walk in the door. That’s why you need a digital marketing strategy. Half of your potential customers are searching online before making a purchase! Your business needs to be present during these searches. 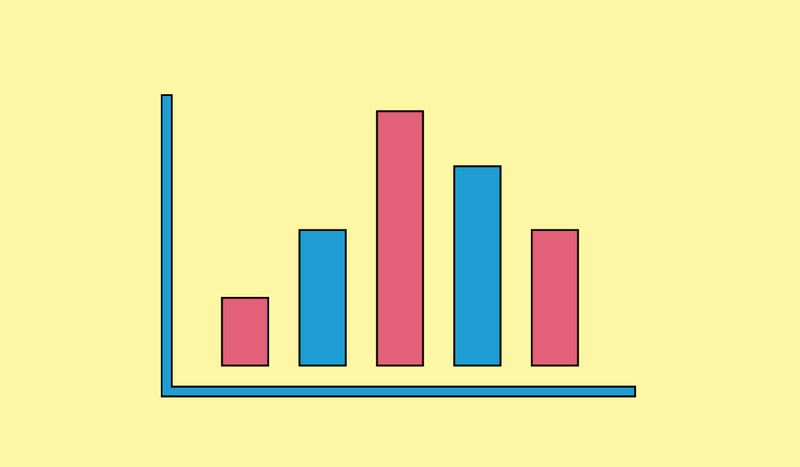 Customers typically won’t exercise patience when researching online. They want to put in a term, find the closest, best rated business and go. Build a better marketing strategy so that they know you’re the best business for their needs. Being present online is no longer an option. Customers expect your business to be everywhere and be consistent. As overwhelming as it is, it’s possible. Local search marketing is your best tool to streamline your marketing efforts to searchers, who (according to Local Search Association) seek, discover, and consider their options before they take action. Use your local listing (the listing consumers see on Google when they search for your business) as a hub to showcase your presence on other digital marketing platforms including: Facebook, Instagram, Twitter, Google+ and your website. This will build consistency between platforms and channels, which will build more credibility with Google and with consumers. At the end of the day, being present is key to being found. Find out more about setting up your business's local search presence with RevLocal.